Wild at Heart In summer the wild artichoke bursts into bloom blanketing fields and meadows with clusters of fern-like thistle plants. 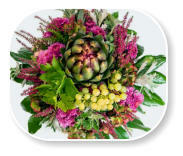 Wild at Heart The wild artichoke grows in spectacular clumps along open fields and meadows. Vegetables are an essential part of healthy eating as they are needed for wellbeing, body repairs and maintenance. 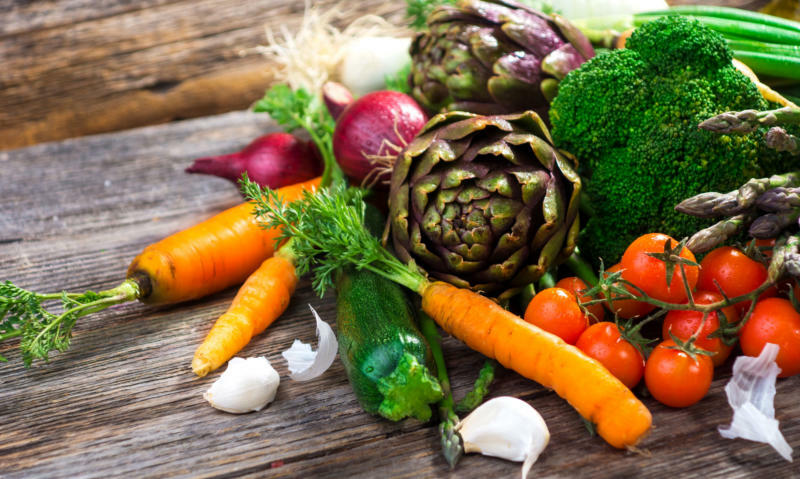 A diet rich in vegetables provides many health benefits; they may reduce heart disease, prevent cancer are also likely to have a reduced risk of chronic diseases. 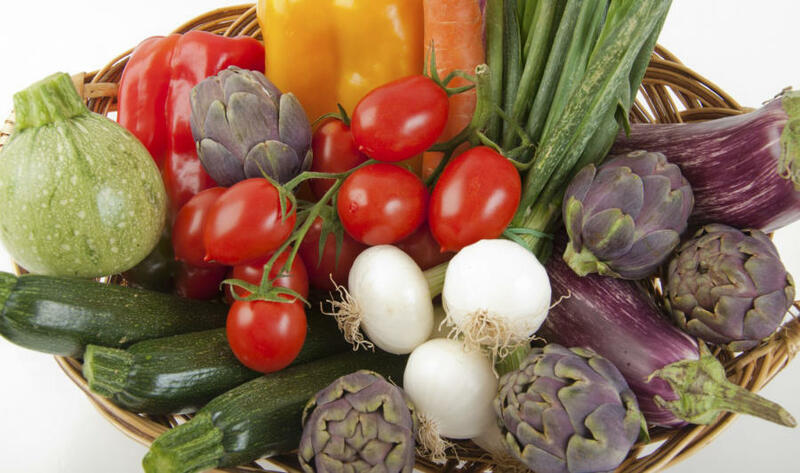 Vegetables are low in calories while containing excellent amounts of vitamins, minerals and antioxidants. 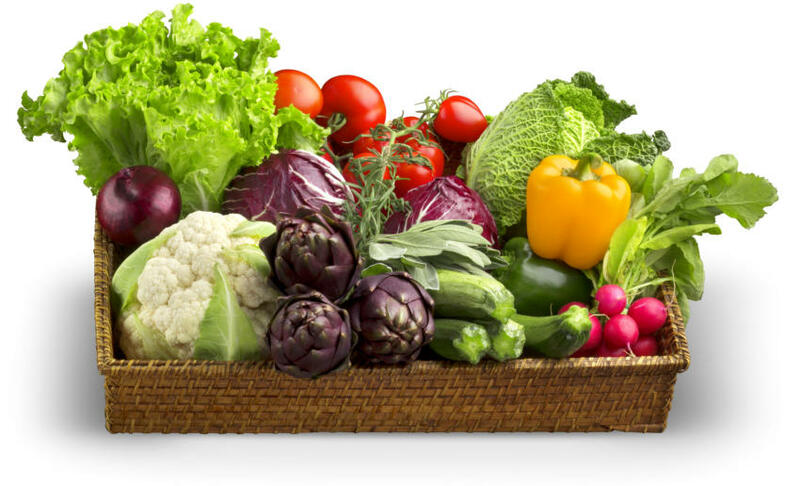 Although it is ideal to eat at least five serves of vegetables each day; the key is to select different colours and varieties which will provide a range of different nutrients to the body and will help to maintain not only a healthy but interesting diet. 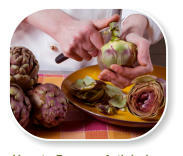 If you are trying to maintain a healthy lifestyle, globe artichokes should definitely be on your shopping list. 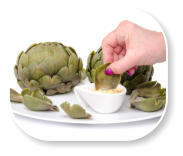 It is important to eat foods with a natural fibre, as found in globe artichokes, as this is easily digested and helps to maintain a healthy digestive system which may aide in preventing colon cancer. Dietary fibre is a type of carbohydrate but contributes less energy than sugars or starches because it cannot be fully absorbed by the body. 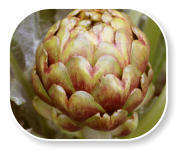 While all plants contain some dietary fibre, globe artichokes have high fibre concentration. Parsley, lemon and garlic are some of the oldest and healthiest foods known. 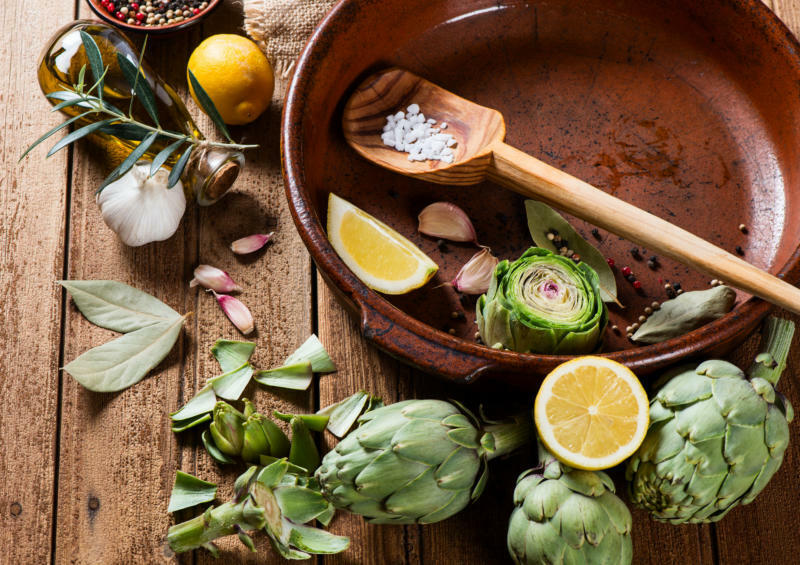 All three items are the perfect accompaniment to most globe artichoke dishes, and the good news is that when eaten together they become a combination of powerful superfoods ideal for energy and health. Although parsley contains more Vitamin C than most citrus fruits; lemons, garlic and artichokes are also particularly high in Vitamin C which is known for its anti- inflammatory and antioxidant properties. Vitamin C boosts the immune system and is a preventative against infections and colds. For centuries parsley, lemon and globe artichokes have been considered as some of the most effective remedies for indigestion. 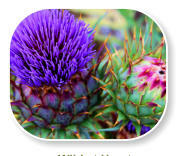 The globe artichoke contains generous quantities of phytonutrients. 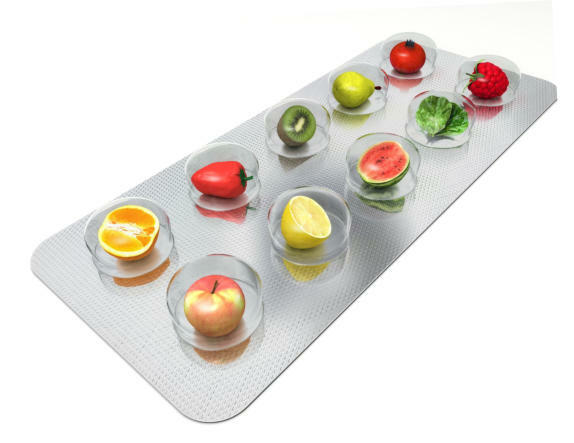 One of the major classes of phytonutrients is antioxidants which are protective, disease preventing compounds. Antioxidants are vital in the prevention of cellular damage and are essential for our body to defend against and neutralise free radicals, which are the common cause of genetic damage leading to cancer, ageing and a range of diseases. Research shows that the globe artichoke also: • has important quality for healthy liver function • is a healthy source of protein and foliate • contains a high source of iron, niacin and phosphorus • has a very high source of magnesium and potassium • is low in saturated fats • can act as a diuretic • is low in sodium • contain an excellent source of folic acid • has the ability to fight high cholesterol levels As globe artichokes are a healthy source of protein, they are ideal for vegetarians who do not want animal protein in their diet. The Egyptians described the artichoke as ‘food for the rich’ and used it to treat health problems associated with a ‘rich’ lifestyle. 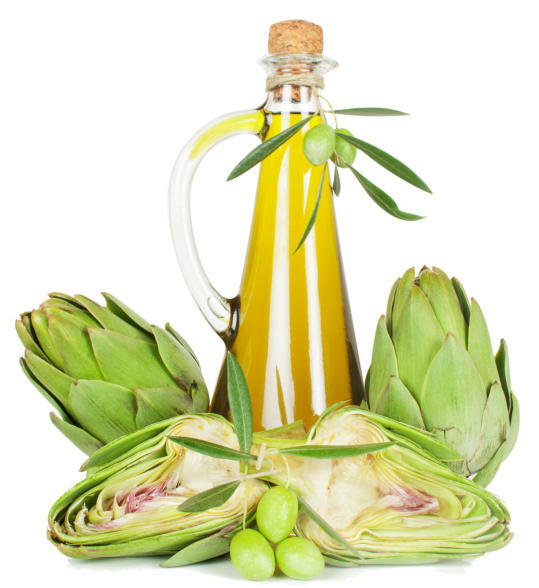 They would eat artichokes as a hangover treatment after consuming excessive amounts of rich foods and wine which could lead to liver disease or gout. 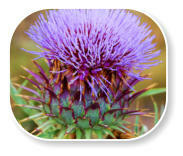 They ate the artichokes to help poor liver function and to help boost the liver’s ability to regenerate its cells. 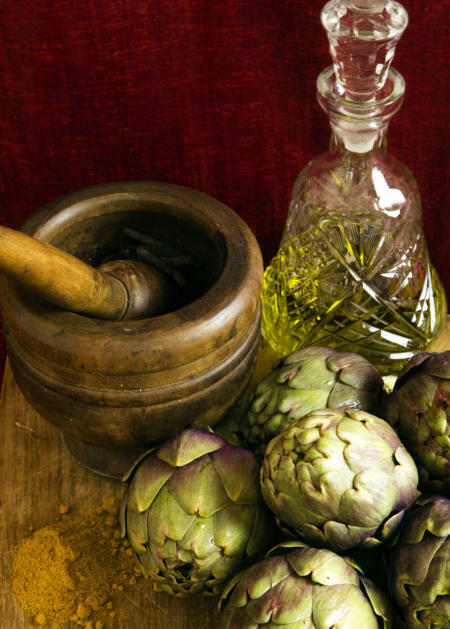 Because of the amazing health properties, artichokes should be added to your weekly meal plan. They are rich in fibre, vitamins, minerals, nutrients and cancer- fighting antioxidants. With only 60 calories, no fat, and a good amount of dietary fibre, these globes are ideal for health and wellbeing. 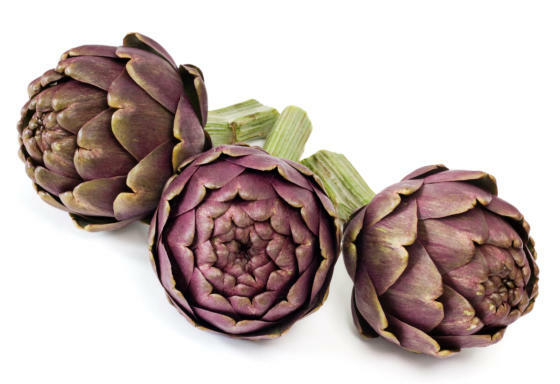 Globe artichokes are a great addition to your healthy diet, whether trying to manage your weight or limit your fat and sugar intake. This publication is solely for informational purposes and not intended for medical advice. This information does not represent the practice of medicine and does not replace the advice of your physician or other health care provider. Please seek the advice of your physician or other healthcare provider before undertaking any course of treatment. The Italians and Greeks also reserved this vegetable for their wealthy society as it was not readily available. They used as a digestive aide, for its aphrodisiac properties, as a diuretic and to stimulate the flow of bile from the liver and gallbladder. Again, in Europe it was also used after excessive eating and drinking to aide poor liver function. Most illnesses can be traced to one of four factors; genetic, environmental, lack of exercise or poor nutritional habits. People ignore the fact that one of the most contributing factors to ill health is the food we consume. 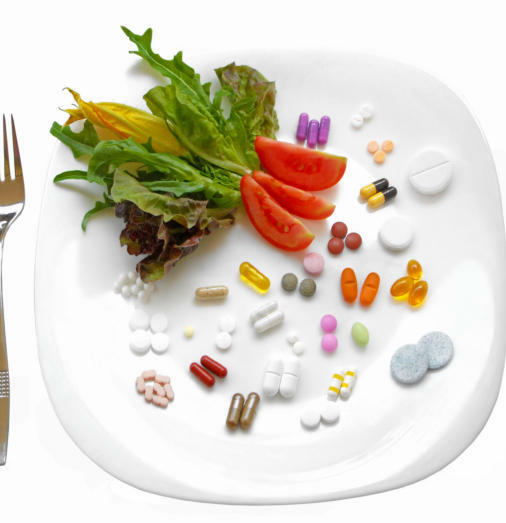 Although it is a known fact that vitamin deficiencies and poor dietary habits can lead to a range of problems triggering many illnesses or cancers, the focus is on vitamin supplements rather than educating the public on the benefits of healthy eating. We have a remarkable medical industry that is constantly discovering new cures for illnesses, but it is also important to promote organic eating as prevention rather than focusing on the cure. Healthy habits should be taught in schools to educate our children and young adults about the maintenance of good health. Unfortunately, busy lifestyles prevent modern society from taking the time to learn the value in fresh vegetables or the importance of home cooking and the necessity to use raw foods rather than refined foods containing preservatives and additives. As a result of our hectic lifestyles our society will shop for vitamin supplements at supermarkets or pharmacies spending millions of dollars yearly in this industry in search of wellness and health. Many families use vitamin supplements to compensate what good fresh, organic food can offer in a better natural state, which is healthier and better absorbed by our bodies. 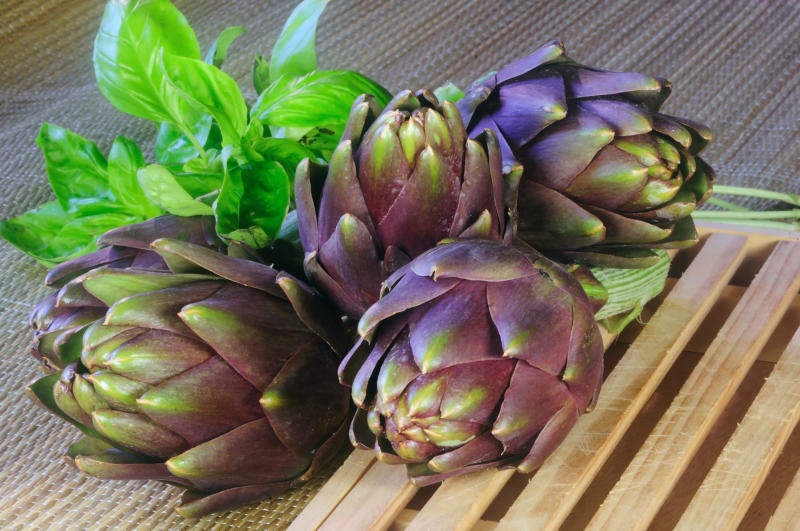 Although globe artichokes may be time consuming to prepare, they are a powerhouse of nutrients making them well worth the effort. They are packed with vitamins and goodness making them a superfood. 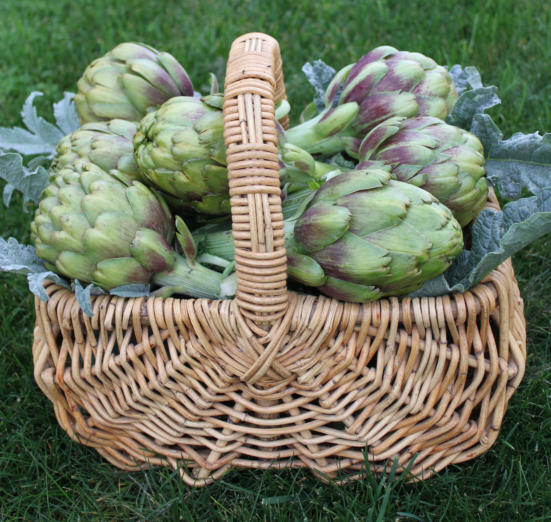 The exciting news is that a couple of decades ago globe artichokes were only available in the winter months, but new varieties make it possible to eat them almost all year around except in the very hot summer months. Preserving them makes it possible to consume them in the months when they are not available. Link to recipe is below. 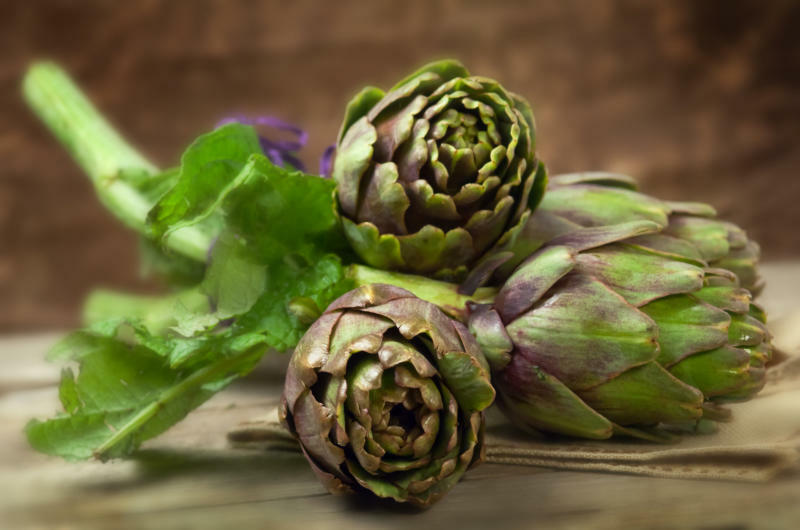 Although we are unsure as to where the globe artichokes first originated, we know that for many centuries they were consumed in European, Arabic and other countries possibly as early as 500BC. 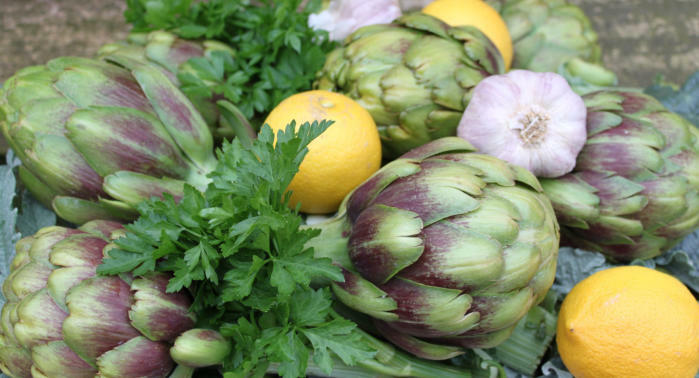 The first and oldest references to artichokes were discovered in the drawings in Egyptian tombs. They were also carved in very ancient building pillars and columns built by both the Romans and Greeks. Roman literature mentions this exotic vegetable as far back as 77AD. Wherever it originated, the facts are that this King of Vegetables was not just a culinary but also used medically. While we know that this King of Vegetables was used medically far back in history, unfortunately modern society is still quite unfamiliar with not only its health properties but also its delicious flavour. Many families have still not tried this amazing vegetable nor do they know how to prepare and cook it. However, there are now many delicious recipes available if you are willing to try this exceptional vegetable.